Which Type Of Concentrate Should You Be Dabbing On? Do you enjoy the taste of smoking raw cannabis? I really am just after the terpenes. Do you mind pressing your herb and hash with a hair straightener to turn it into oil? I just want to get down to business and dab. Do you prefer to take dabs on a nail or smoke a bowl laced with hash? I'm old school. Break out that bowl! I'm all about the oil. Break out that nail! Do you prefer to consume cannabis with vaporizers or rigs? Is it hard for you to keep your hash refrigerated? Does cleaning your nail get on your nerves? Nah, you gotta make a mess to have some fun! Yes! It's impossible to keep it clean! Are you ready to throw a screen on top of your nail? Anything to reach those resin heads! I'd rather just stick to the regular nail setup. Have you ever tried solventless hash? No, but I've always wanted to try some. Yes, but it's not my thing. Yes, it blew me away! You got full melt bubble hash, which is made with water and micron bags so that different size resin heads can be collected. Although it passes through water, both the taste and effect from full melt is preferred by most over the other options. You got dry sift, which is made by bouncing buds over different size micron screens. Press some resin heads with your fingers and get blown away by a fat dab of dry sift. You got rosin, which is accessible to anyone with a hair straightener and quality dry herb. It's time to get pressing! 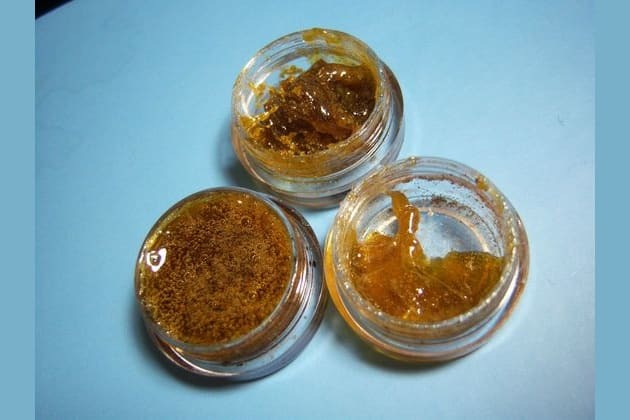 You got Butane Hash Oil (BHO) which which is made by passing butane through raw cannabis and then purging the solvent out of the final product. The terpene representation is so on point that you might not want to dab anything else. You got CO2 Hash Oil, which is made using a device like the Critical Extraction machine. CO2 is great for stuffing vaporizer cartridges or taking dabs on a rig with, so your options are open to whatever you have laying around. Having a tough time deciding on which type of concentrates or extracts you want to dab on? Take this quiz to find out!